CALGARY, AB – Struggling with housing affordability, only 25% of Millennials are achieving home ownership**. 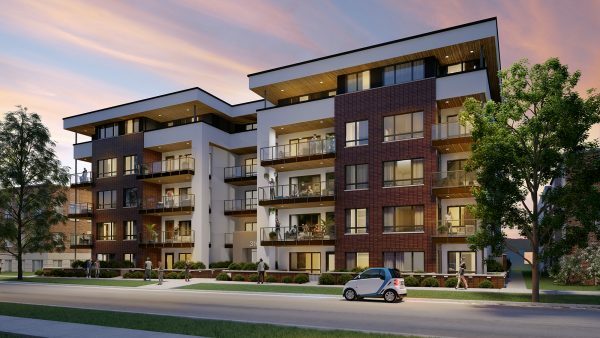 In Calgary, potential buyers can now realize their goal of condo ownership more quickly, with a new set of down payment and mortgage incentives at the Matrix in Mission. Matrix is a five storey condominium project, which will provide 67 homes in Calgary’s historic Mission neighbourhood. It’s the latest project headed by Harold Sicherman, who has a 20-year track record of development in Mission. A 5% down payment loan is now available through the Matrix, with zero dollars up front and payments spread over 24 months; OAC. And to protect buyers from mortgage rate rises, the Matrix is arranging 24 and 36-month interest rate holds to all buyers. Interest-only mortgages are also available, offering 37% reductions in monthly mortgage payment; a windfall for many. Photo Caption: Zee Zebian, Marketing Manager, Buss Marketing, in the Matrix show suite on 17th avenue in Mission. A survey the developer conducted this fall of more than 190 interested parties* found that more than 60% were seeking to buy a condominium within the next year, but the top two factors holding them back are high monthly payments and saving for a down payment. 5% deposit with zero dollars up front and payment spread over 24 months. Interest only mortgages. This reduces the monthly payment on a $300,000 mortgage from $1,568 to $985 monthly (a 37% savings each month). With interest rates potentially rising several times this year the Matrix can help you arrange a capped interest rate today that is guaranteed not to go up before you take possession. The developer of the Matrix is keen to make its project affordable to Millennials seeking a new-build home. A study in 2017 by Stanford University’s Milestones project in California** identified the challenges facing the latest generation of potential home buyers in North America. It found that across the generations, the ideal age trajectory for experiencing major life milestones has remained remarkably constant, with the average ideal age for buying a home being around 28. However, it found only 25% of the current 25-34 year old group is finding it possible to reach this milestone, a reduction compared to each previous generation. “Millennial buyers want to maintain their life goals – buying their own place being one of them. But they need financial support,” explains Zebian. Matrix’s own survey found the overwhelming reason for condominium ownership is the proximity to downtown and a walkable lifestyle, a top priority for 68% of those polled. The majority of potential buyers (55%) looking in Mission are seeking to purchase in the $300-$400k range, but with 30% hoping to secure ownership under $300k, the Matrix is making affordability a priority. Matrix is located just off the juncture of 4th Street and 17th Avenue Southwest – two of Calgary’s most popular main streets. The address at 320 – 19 Avenue Southwest is prime for mixing lifestyle and convenience, boasting a walk score of 96 and a bike score of 100. Residents in Mission can walk to an average of 18 coffee shops, bars and restaurants in just five minutes. Matrix offers a level of luxury in its standard features not normally seen in this price range. Twelve of the units are listed under the $299,990 mark, making them particularly attractive for buyers who desire inner city living. The top floor is designed to have a penthouse feel, with those units topping out at $471,350. 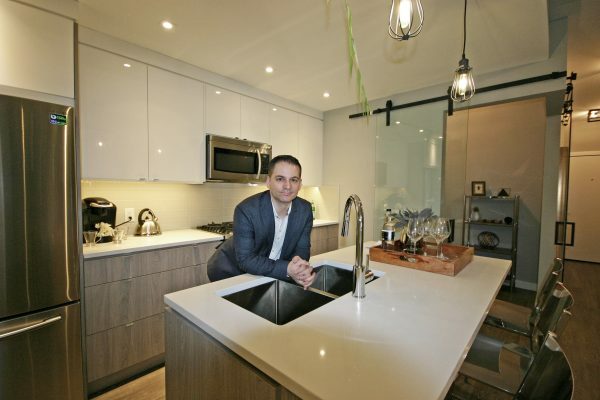 Matrix offers five floor plans, with one-bedroom, one-bedroom plus den, and two-bedroom units ranging from 612 to 868 square feet (56.9 to 80.6 square metres). Each home has been designed with thought to providing intelligent space, highlighted by nine foot ceilings. * Competition survey conducted with a sample of 196 interested parties, expressing an interest in condominium ownership.